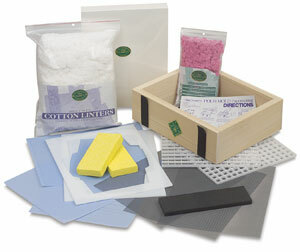 Create up to 40 full sheets of 8 1/2"x11" handmade paper. This kit is perfect for large or small groups. Easy to follow directions and guide book are included for instructors.